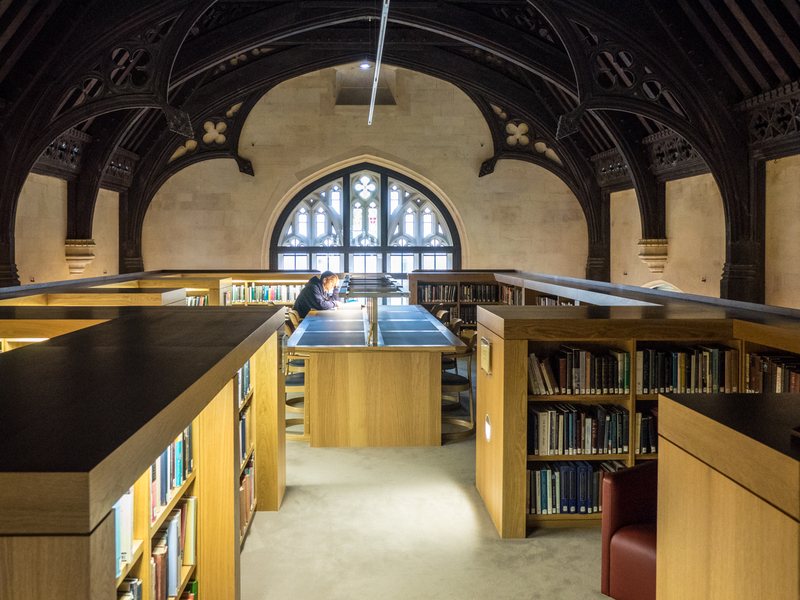 The Longwall Library was first housed in the former Magdalen College School, a neo-gothic hall by J C Buckler (1851), following its conversion by Giles Gilbert Scott in 1932. 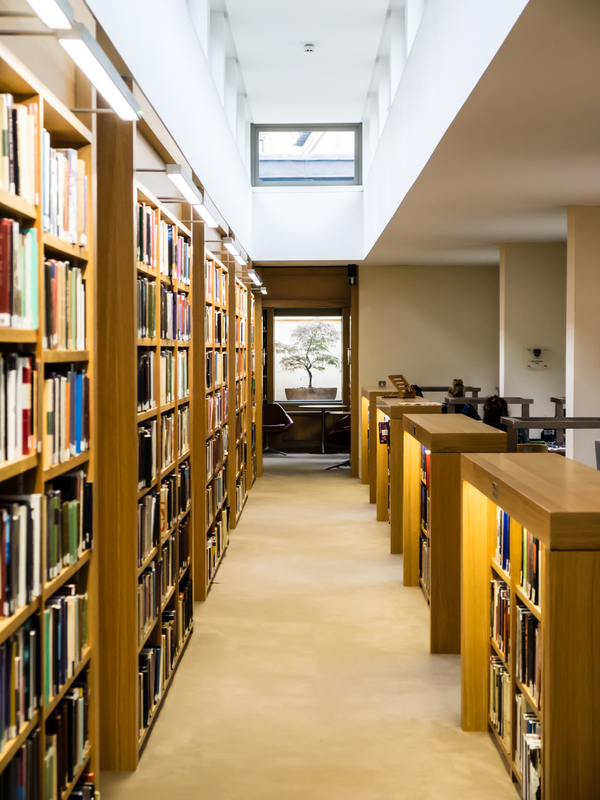 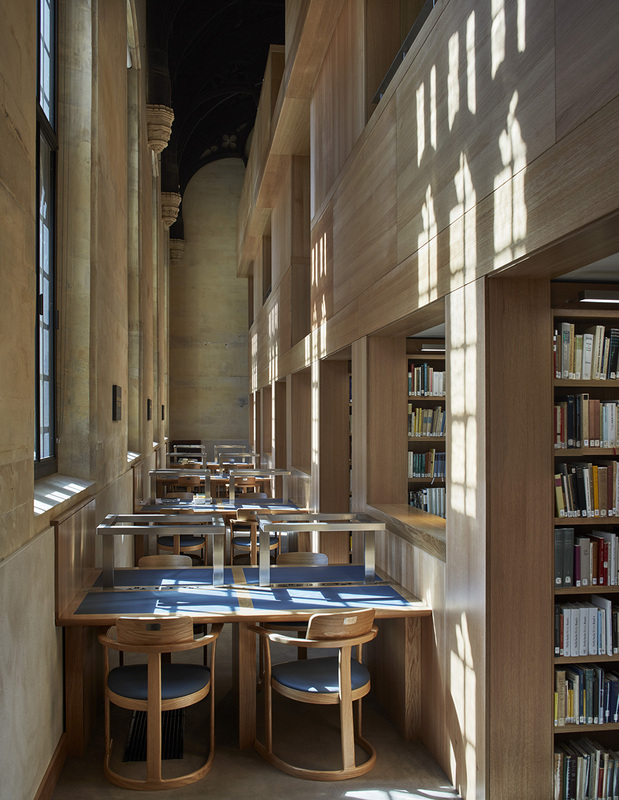 For this remodelling and extension, the architects have completely reconstructed the interior, inserting a free-standing structure to provide four levels of book stacks and reading areas. 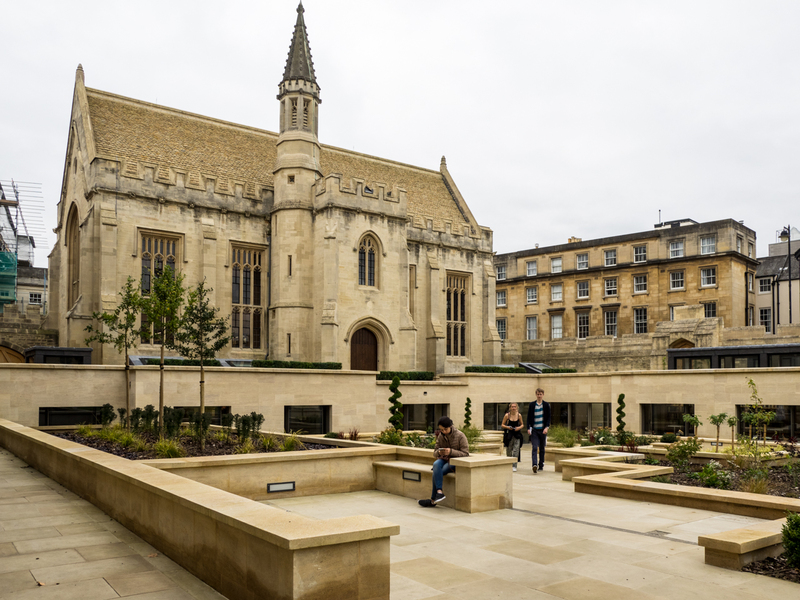 A single-storey extension takes the form of a semi-basement in Longwall Quad, which itself has been redesigned as an outdoor seating and reading area, supported by wi-fi coverage. 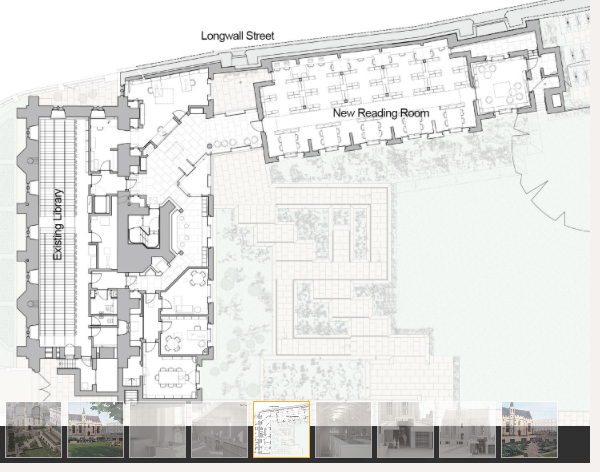 The new work is in matching stone with lead facings to the prominent skylights, and sits beneath the mass of the ancient Longwall.